with four people from two companies? Two days? How about, 60 seconds! Compliant with IT security policies. Does not store your corporate data. Calendar sync not required. We understand that meeting your commitments requires thoughtful balancing and orchestration of both work and personal life. 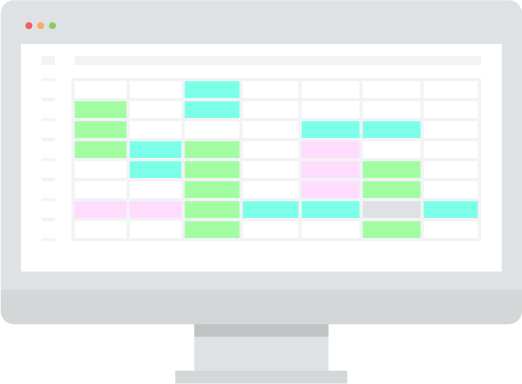 We designed FreeBusy to integrate with all your existing calendars. You can link all your work, personal, and school calendars and present your availability to others as a unified front. 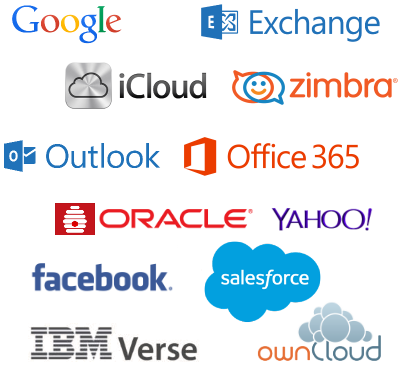 It's important to be prepared for every meeting and your time is too valuable to worry about online meeting links and dial-in numbers. 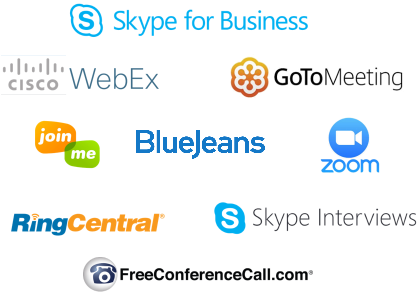 FreeBusy integrates will all major web conferencing services and automatically ensures meetings are prepared with conference call information. 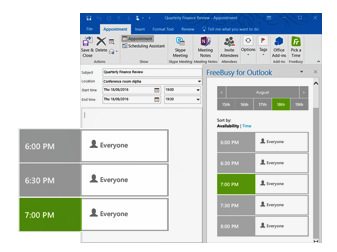 FreeBusy makes coordinating meetings fast and easy right from Outlook desktop and Outlook Web App. The Outlook add-in helps you find the best time to meet, quickly, for participants inside and outside your company. Have you noticed how Google Calendar can't show you availability for people outside your company? 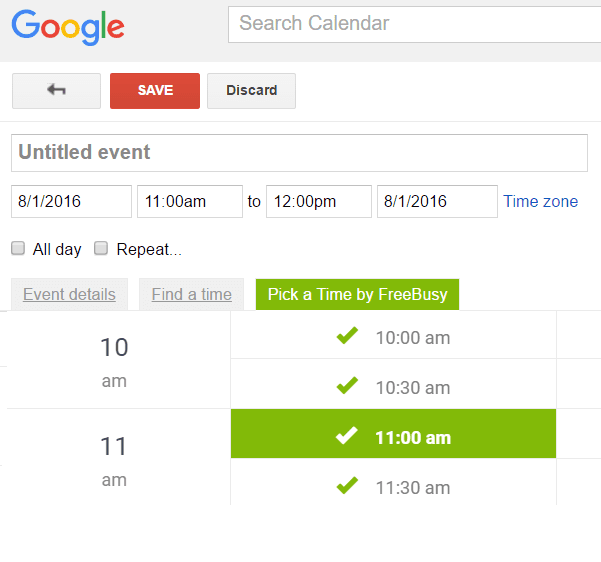 With FreeBusy Chrome Extension you can check availability for all meeting participants right from Google Calendar, no metter which calendar system they use. Get your own personalized webpage where contacts can see when you are available and book meetings with you, for free. Embed your availability on your company's site, on your blog, or in LinkedIn articles. Need to schedule a meeting? See when I'm available!